As the water gets cooler, the fishing gets hotter! 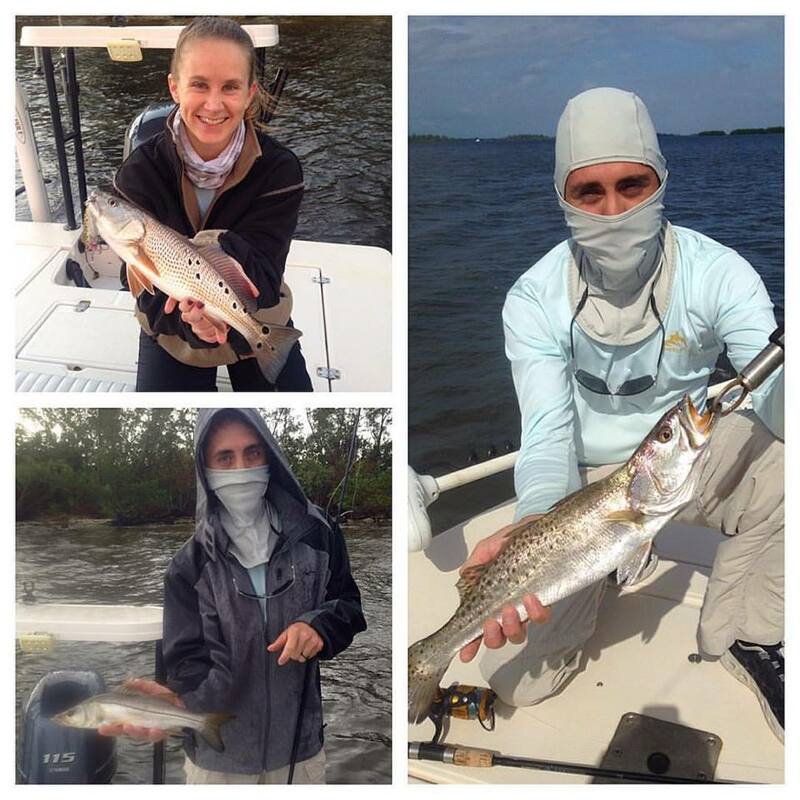 Lots of snook, trout, and redfish have been feeding along the flats in the Indian River. 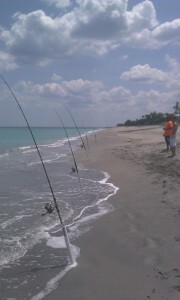 Yesterday, we fished Round Island State Park in Fort Pierce with a morning incoming tide. We drifted the flats casting DOA jigs and Unfair Lures. 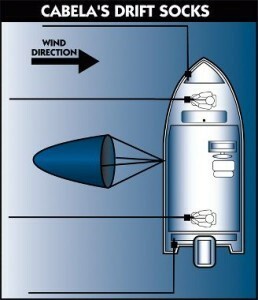 By using a drift-sock, the boat drifts downwind perpendicular, giving both anglers on the bow and stern a good angle to cast down wind. Drift socks are inexpensive and very useful during these windy months in Florida. The pompano bite has turned on along the beaches for surf-casting. Sandfleas and clams work great for bait. Pompano rigs have 2 or 3 hooks and use a 2, 3, or 4 oz sputnik weight for best results. Incoming tide can be the best when surf-casting for pompano. When fishing inshore for pompano, sandfleas, clams, and shrimp work well as bait, along with jigs. Some good spots to try are the corners of the Crossroads, the flats just inside the inlet between the two channels, and the Stuart Causeway. Capt. 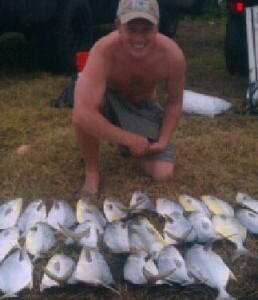 Giles Murphy surf casting for pompano.